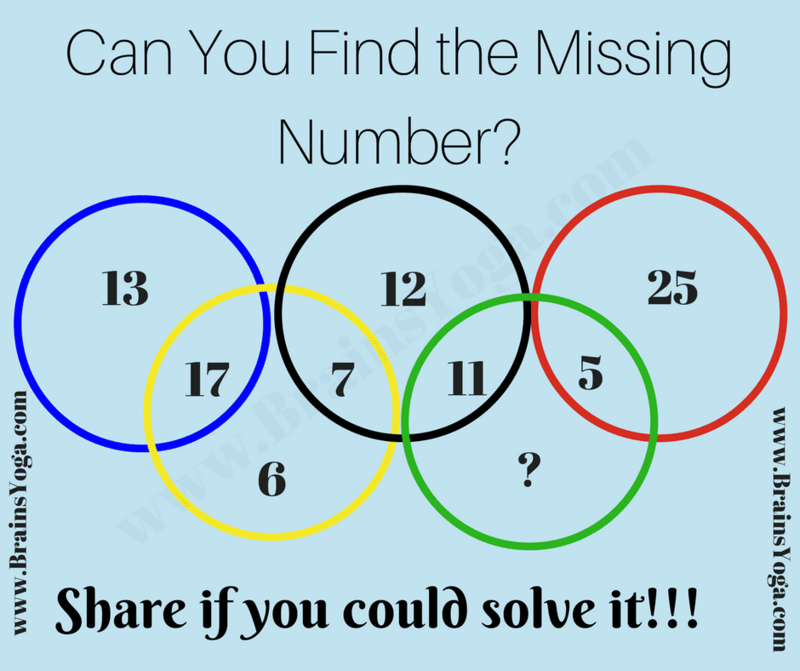 Here is a very easy Math Brain Teaser for kids. 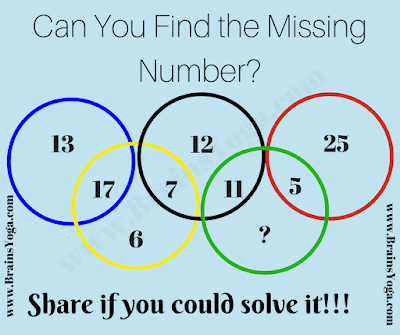 In this #brainteaser five Olympic Rings are given and there are numbers in each of these rings. These numbers relate to each other. Can you find this relationship and then solve it for the missing number which will replace the question mark? The Answer is 14. Sum of numbers in each ring is 30.